Are you thinking about visiting Spain? Maybe even thinking about relocating or purchasing property there? You may be wondering what the health insurance options are for you and your family. The World Health Organization ranks Spain's health care system as seventh best in the world. Spain's system offers universal coverage as a constitutionally-guaranteed right. Additionally, besides prescription drugs, there are no out-of-pocket expenses. There is a large number of high-quality hospitals and medical centers strategically placed throughout the country. No matter where you are, you are usually never more than 15 minutes away from a medical institution. 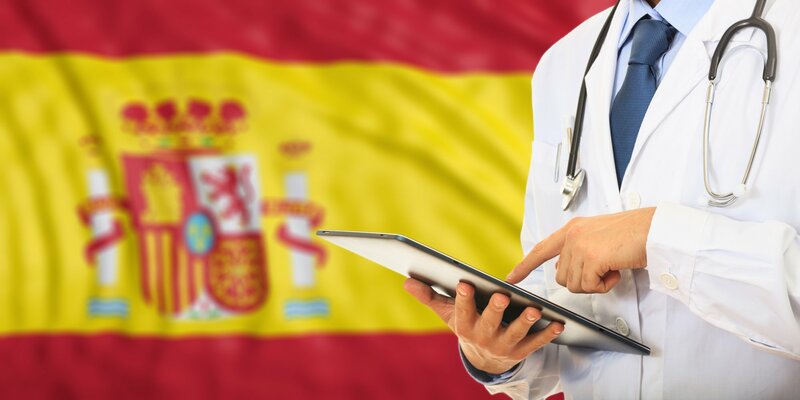 Read on to learn everything you need to know about the Spanish healthcare system. Spain has a universal healthcare system. Like most healthcare systems throughout the world, it is split into two categories: public and private. All Spanish citizens and official residents along with their families qualify for public healthcare. If you are a legal resident, you and your family will automatically qualify for public healthcare in Spain. The country's universal healthcare system is called the Spanish National Health System (SNS). It is a popular system and covers most medical services free of charge. Please note that while most healthcare is covered by SNS, more extensive medications and procedures may incur more fees. If you are an unemployed non-citizen or would like a more specialty coverage, you can also opt to purchase private insurance. Private insurance is widely available and can be purchased easily online. Most private insurance plans will have more extensive coverage and prescription drugs coverage. If you and your family are legal residents in Spain and are eligible for the public SNS health coverage, you can register at your local health center. You will need to bring your social security number, passport, and foreign identity number when you register. Once you have registered at your local health center, you can register with the state healthcare system. Spanish healthcare is separated into 17 different regions. Each of the regions are responsible for itself. So check with your regional health authority to find out what services are available and how you will be able to access them. It is also possible that you will need to register your address at your local town hall. Once you successfully register your address, you will be given a proof of address slip. This document is used when you register with a specific doctor, as they will need to see proof of your residency. If you are in an emergency, call 112 right away for an ambulance or police. 112 is the emergency phone number in Spain. All people, no matter if you are a citizen or foreigner and if you do or do not have insurance, have a right to be served for emergency treatment in any Spanish hospital. Understand the Spanish Healthcare System? The Spanish healthcare system is pretty easy to understand. No matter if you are visiting or planning to relocate your family, there are many options available to you to make sure you and your loved ones are safe and taken care of. Locating the nearest medical facility when you travel is always a good idea, just in case any emergencies come your way. Check us out for more information on moving or visiting Spain.